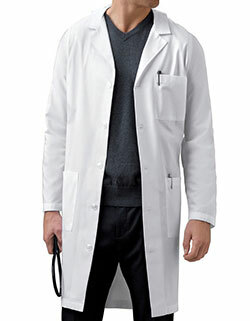 Get the high quality scrubs on affordable prices form our exclusive clearance sale. 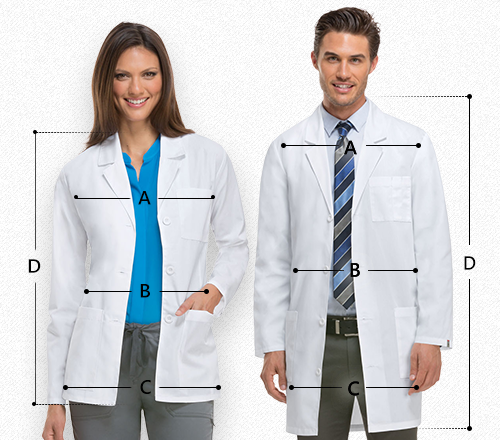 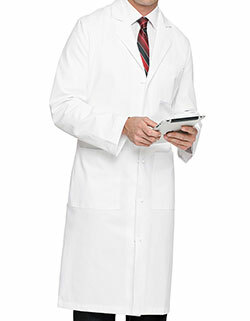 This Landau 43.5 inch Three Pockets Twill Men Long Medical Lab Coat features a notched lapel collar and five buttons for closure. 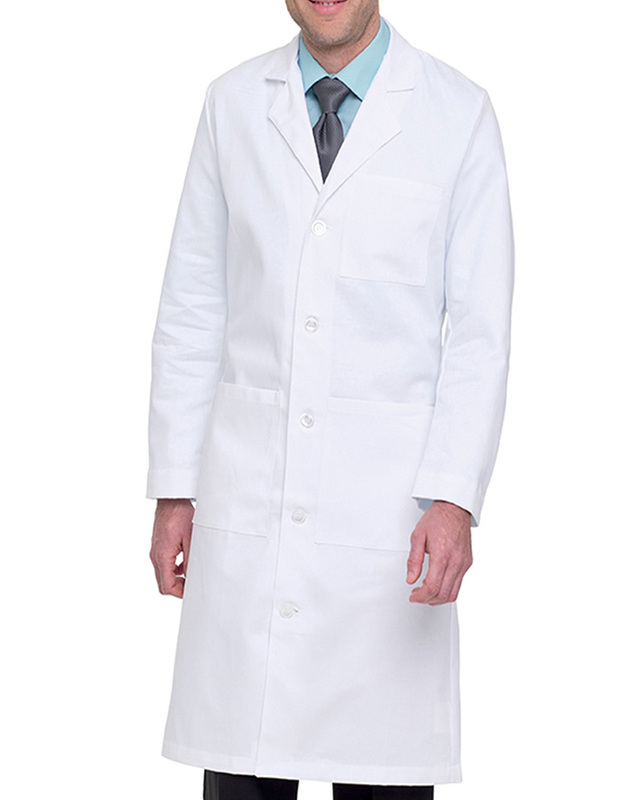 The back is styled with a belt stitched over pleats that certainly gives a hint of distinctive luxury. 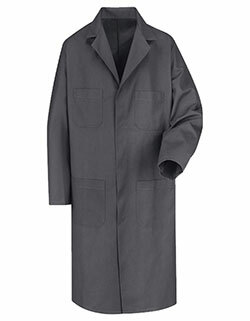 This also features two roomy patch pockets and a chest pocket that is meant for storage of your handy paraphernalia and a side hand opening for you to reach your pants' pockets. 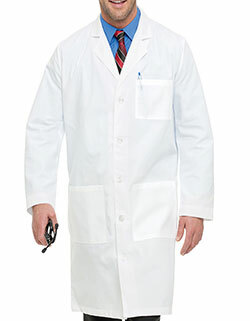 The fabric used for this lab coat is 65% Poly/Poliester35% cotton/algodon.